K-pop music will form the core of a South Korean art troupe’s repertoire when it performs in Pyongyang in April, with a prominent K-pop producer and songwriter to take the helm. 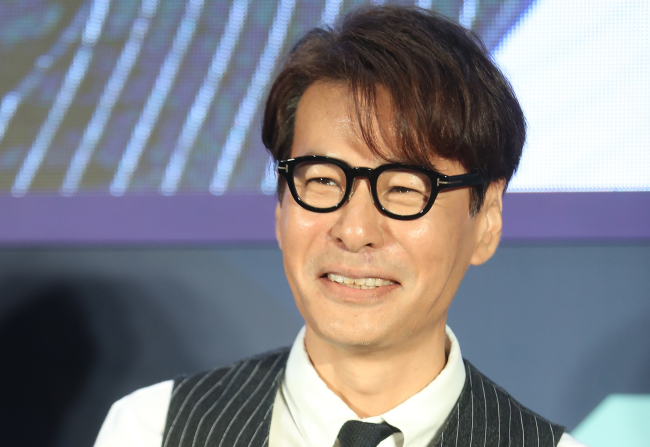 The Ministry of Unification on Sunday named Lee Yun-sang -- a singer-songwriter and producer professionally known as Yun Sang -- as the musical director for the South’s art troupe to Pyongyang. His North Korean counterpart is Hyon Song-wol, the leader of the all-female Moranbong Band. Yun Sang will lead the South Korean delegation to a working-level discussion with the North on details of the visit, to be held Tuesday at the border village of Panmunjeom, according to the Unification Ministry. Topics for discussion will include the size of the South Korean group, its repertoire and accommodations. Officials here said that Yun Sang had been selected specifically for his understanding of Korean pop music. “Our policy was to select a person who understands the characteristics of each generation of our (Korean) pop music. Yun Sang was selected for his wide range of experience, from ballads to EDM (electronic dance music), from the 7080 (the generation who went to school during the 1970s or 1980s) to contemporary idol singers,” the Unification Ministry said in a statement released Monday to explain Yun Sang’s appointment. The ministry said most of the songs played at Pyongyang would be pop music, as opposed to classical or traditional Korean. Yun Sang rose to prominence in the Korean music scene in the early 1990s, both as a singer and songwriter. But the artist is better known among younger generations for writing songs for K-pop idols like BoA and TVXQ, and producing all the albums for girl group Lovelyz. It is not uncommon for contemporary pop music to be played in inter-Korean performances. Performances in North Korea by visiting South Korean artists have been held sporadically since 1985, in which top South Korean singers of the time, including Kim Jung-gu, Kim Hee-gap and Ha Chun-hwa, have participated. Rock band YB, pop singer Lee Sun-hee and trot singer Sul Woon-do have also performed north of the border. Lee Sun-hee may be making a return trip to the North. It was reported by local media on Tuesday that Lee and Cho Yong-pil have been invited by the government to perform in Pyongyang. Cho, one of the most influential and revered figures in the South Korean music scene, held a solo concert in 2005 in Pyongyang, where he sang both his hit songs and popular North Korean songs. It was also reported that YB and Baek Ji-young were invited by the South Korean government to perform in North Korea. YB’s representatives refused to confirm the report. In past years, the list of South Korean artists performing in the North has typically comprised seasoned veterans in the music scene. But there are speculations that some popular K-pop acts will visit Pyongyang as well, following line with popular K-pop groups of the 1990s -- Sechskies and Fin.K.L, then Shinhwa and Baby V.O.X. Classical music and Korean traditional music, or gukak, are also expected to be included in the performance. South Korean officials have already invited conductor Chung Myung-whun and the KBS Symphony Orchestra to perform, according to reports. A source close to Chung said that the conductor had been asked by the government if he could perform in April to which he replied he would, even if it means changing his other performance commitments. However, Chung may not go if the orchestra is to perform backstage, according to the source. Ministry of Culture, Sports and Tourism officials said that the government is aiming for an April performance, but nothing has been set yet. The musical delegation of South Korea was expected to perform in North Korea after the communist state sent its art troupe last month to perform in Seoul and Gangneung, Gangwon Province. It was on the coattails of the two Koreas agreeing on the North’s participation in the PyeongChang Olympic and Paralympic Games, which marked the first time a joint team of the two Koreas competed in the Olympics. The 140-member Samjiyon Orchestra performed 40 songs, including local pop music and classical songs.